Are you negotiating the best rail rates? When procuring and managing rail rates it's important to understand your options and the railroads' viewpoint. 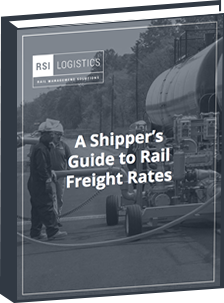 That's why we created this shipper's guide to rail freight rates. Fill out the form to download your copy of the free guide.